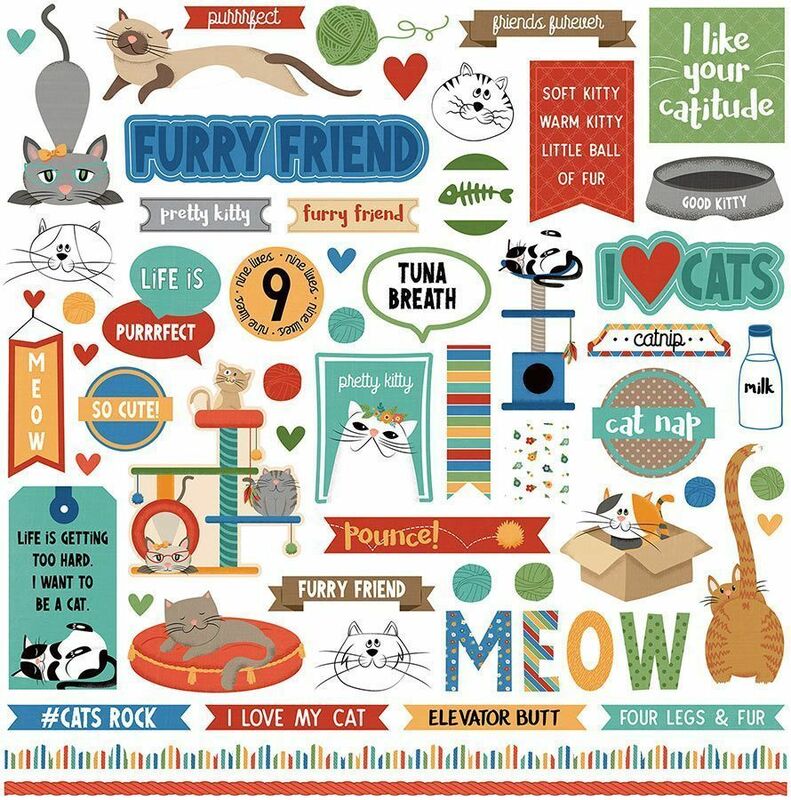 This 12x12 Sticker Sheet has an assortment of Colorful Images, Phrases, Borders, Labels & more. Perfect for embellish your Projects. Part of the Whiskers Collection by PhotoPlay Paper. Look for coordinating Designer Papers.